Check out Tobi's Show Off Cropped Hoodie Why blend in when you can turn heads in the Show Off Green Cropped Hoodie. This crop hoodie features a hooded neckline, oversized flared sleeves, and a captivating camouflage print. Pair this trendy athleisure sweatshirt with joggers for a chic casual look. Why blend in when you can turn heads in the Show Off Green Cropped Hoodie. 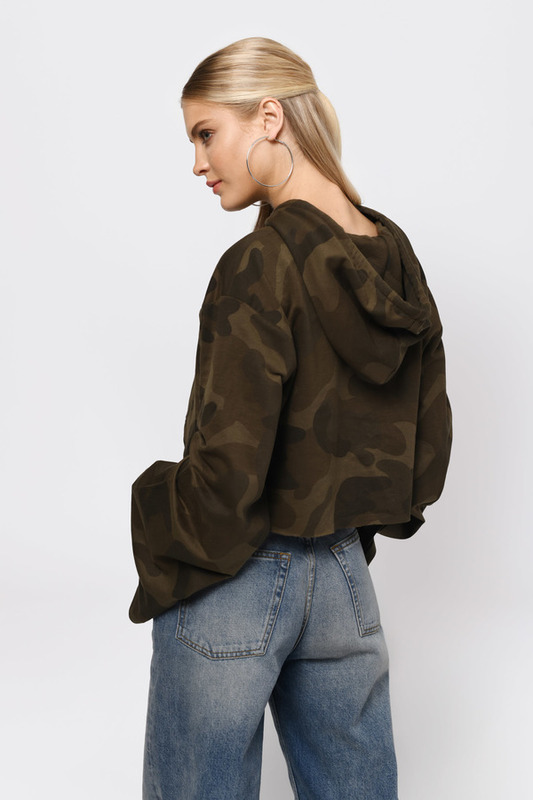 This crop hoodie features a hooded neckline, oversized flared sleeves, and a captivating camouflage print. Pair this trendy athleisure sweatshirt with joggers for a chic casual look.